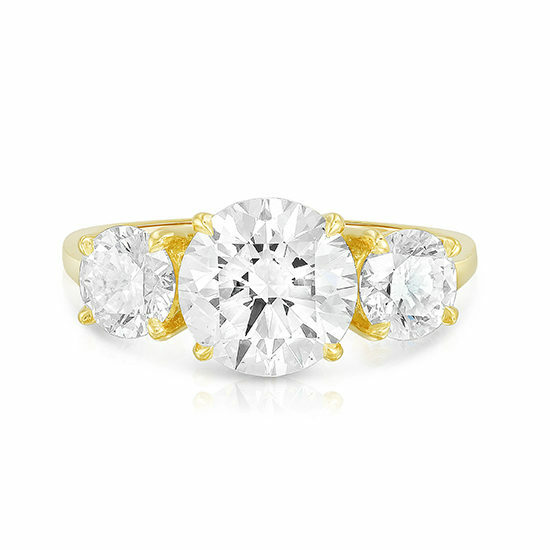 This custom designed Marisa Perry three stone Round Brilliant cut diamond engagement ring was hand sculpted in 18k yellow gold. Marisa Perry three stone rings are crafted with much less metal and lie much lower to the finger than traditional three stone engagement rings. This ring features a 2.03 carat G color SI2 clarity Round Brilliant cut center stone with two matching 0.50 carat Round Brilliant cut diamonds on either side. This ring can be created bespoke to you. Please call 212.566.8977 or write [email protected].